Neil Carrier is a Lecturer in Social Anthropology at the University of Bristol (UK). He has worked on a number of themes related to transnational trade and commodities, and to the impact of migration on East Africa. 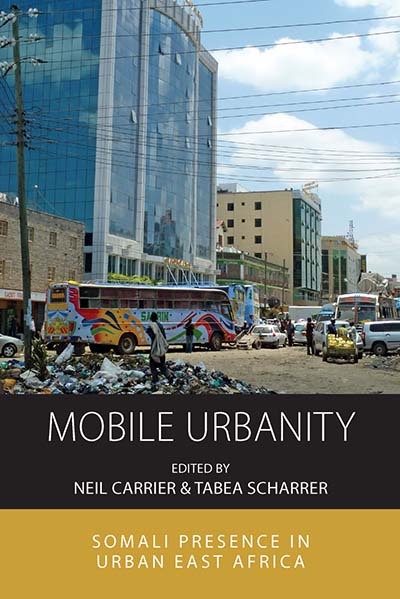 His most recent book is an ethnography of Nairobi’s Eastleigh estate, home to a large proportion of Kenya’s urban Somali population. Tabea Scharrer is currently working at the Max Planck Institute for Social Anthropology in Halle (Germany), doing research with Somali migrants in Kenyan urban centres and in Europe. She wrote her dissertation on Muslim Missionary Movements and Conversion to Islam at the Free University in Berlin. Chapter 10. Beyond Eastleigh: A New Little Mogadishu in Uganda?